Tragedies, disasters and accidents occur in our communities from time to time and they are opportunities for Christians and the local assembly to show care, concern and compassion in a very practical and meaningful way. It may be a fire, an unexpected death, a family loss, an accident or some other hardship. 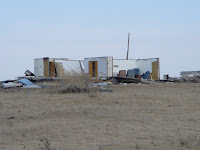 Or it could be a larger scale disaster such as the one reported below. Small or large – they are opportunities for us to display through practical deeds the love of Christ to our community. 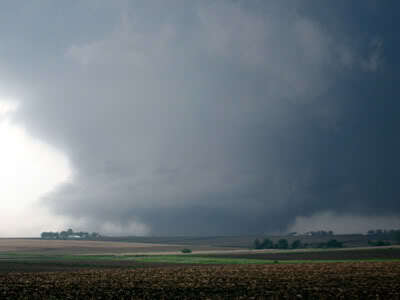 It was late Sunday afternoon, May 25, 2008 when the F5 killer tornado slammed into Parkersburg, Iowa and other communities at over 200 mph. Terrified people cried out: “God save me.” In the Parkersburg area, seven people died and 70 were injured – not to mention the destruction of homes and businesses. 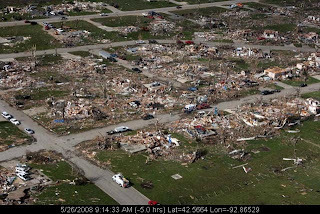 The same day the F5 tornado slammed into Parkersburg a tornado also caused extensive damage to homes and farms just north and west of Dunkerton, Iowa. There is a local New Testament assembly in the town of Dunkerton. Was there anything the assembly itself could do and was there anything the individual believers could do to reach out to a hurting community? 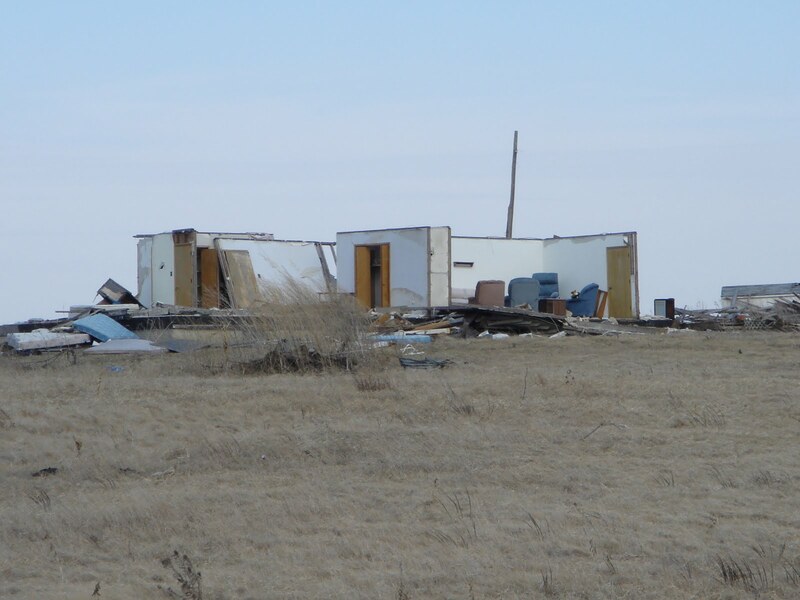 Forty one homes in the Dunkerton area were rendered unlivable. The assembly felt exercised to help in a practical way. We hand-delivered a small gift of $100. to those affected. If the family was connected to the assembly through their children’s involvement in the Sunday School our gift was $500. Please receive this small gift as our expression of concern for you in the loss you have sustained. As you adjust to this sudden, unexpected change in your life, may the comfort of God through family, friends, and strangers give you daily courage to face the task of each new day. The greatest evidence of God's concern for us can be found by looking at Jesus Christ. God loved our suffering world so much that He sent His Son to agonize and die for us, to free us from being sentenced to eternal sorrow (John 3: 16-18). By personally receiving Jesus Christ, we can avoid the worst of all tragedies, the tragedy of separation from God forever. In addition to the letters and gifts sent from the assembly, a number of those associated with the assembly spent hours helping others with their clean-up. The feedback was general appreciation but it has also resulted in several heart to heart talks with recipients who wanted to focus on the reality of Christianity. Whose responsibility is it to look for such opportunities in the community? 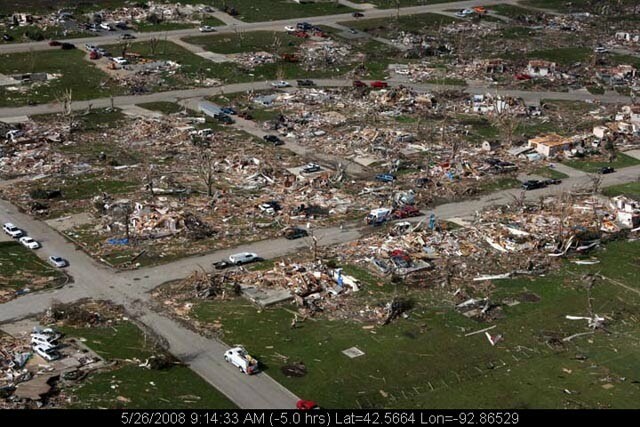 Not all disasters are on such a large scale as a tornado. The need may be confined to one family who is hurting badly. Is the assembly sensitive to the needs of the community it is trying to reach with the Gospel? Notice that those who benefitted from the kind deed were fully aware of where the gift came from. The gift and letter were hand-delivered so the neighbor could attach a real person with the local assembly that had showed such kindness. The letter was written on Gospel Hall stationary to identify the source of the gift clearly. The letter was compassionate, short and simple and not ‘preachy’. This was not the appropriate time to distribute the Two Roads Chart and other hard-hitting Gospel papers. It is called ‘winning’ souls with ‘wisdom’. If you would like to add an observation to this story, please leave a comment.